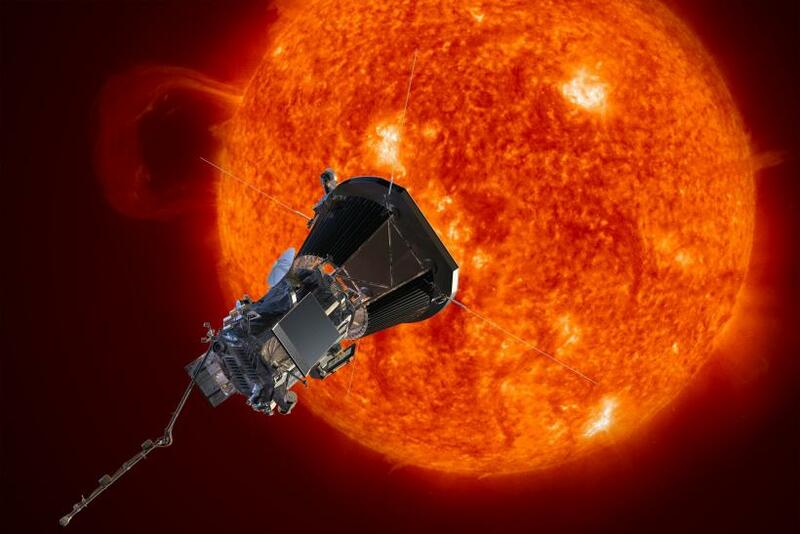 NASA is sending a craft to the sun for the first time, and Wednesday the mission, previously called the Solar Probe Plus mission, was renamed after Eugene N. Parker, the astrophysicist who discovered solar wind. Wednesday’s announcement marked the first time NASA had named a craft after a living researcher. There are about 20 crafts named after distinguished researchers, but all were named after the researchers died. NASA gifted Parker a model of the solar probe at a ceremony honoring him and invited him to write an inscription that would be added to a plate on the craft. There will also be a small computer chip that will have photos of Parker and his paper, in which he explained his findings on the sun, affixed to the outside of the probe. The historic mission will involve flying the craft into the sun’s atmosphere. Temperatures in that layer of the atmosphere, called the corona, reach 900,000 degrees Fahrenheit, nearly 300 times hotter than the surface of the sun. Researchers are hoping the Parker Probe will be able to give insight into why the outer layer of the atmosphere is hotter than the surface itself. The probe is scheduled to launch during the summer of 2018 and make several orbits around the sun, using Venus to gain speed. The probe will travel at 430,000 mph around the sun and dip into the atmosphere to become the first mission to touch the sun. The craft will be equipped with a thick heat shield to protect the instruments behind it. The shield is made of a carboncomposite that can withstand going through extreme heat and cold conditions as it orbits. It will also protect the craft and its instruments from dust particles and radiation. The solar panels, which had to be specially designed, will power the craft by just sticking out a small bit. The other instruments will be positioned all around the craft so they can catch what’s coming off of the sun in all directions. They’ll include magnetic instruments to measure plasma waves, a high energetic particle suite and a white light imager, Nicola Fox, mission project scientist at Johns Hopkins University Applied Physics Laboratory, said during Wednesday’s announcement. The craft is currently being built and tested to ensure it will be able to withstand the conditions so close to the sun. The craft will be just about 4 million miles from the sun’s surface at it dips through the atmosphere, seven times closer than any mission before it.